We Spy: Rally to Restore Calamity? 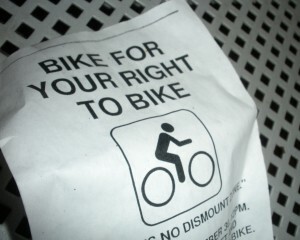 We found this flyer on a bike rack near Moffitt Library. Apparently all bicyclists are supposed to meet at noon on Tuesday at Bancroft and Telegraph. Prepare to be sideswiped.